In today’s IT world, talented people have arisen with unique ideas to achieve the highest pinnacle of success in their field of technology. These consumers are looking for self-service to set up and launch their applications and services, to get what they want, their own way. Cloudways fulfills the requirement. Cloudways Managed Cloud Platform offers a very simplified approach to deploy, manage, monitor and scale your Open Source Applications on top of different IaaS providers, AWS, GCE and DigitalOcean, without losing control and convenience. Cloudways was established in 2011, in Malta, with teams in Spain & Dubai. As the service progressed along the growth trajectory, the company was converted from a service to a proper Platform in 2014. Since attaining the status of a Platform, the teams have served over 8000 users from 43 different countries & 150 different cities with ultimate convenience and top-notch 24×7 support. Cloudways is already hosting over 10,000 applications and still growing. People like options & transparency, so instead of buying expensive “black boxes”, Cloudways came up with a choice of hourly subscription for something they can control & feel ownership of. 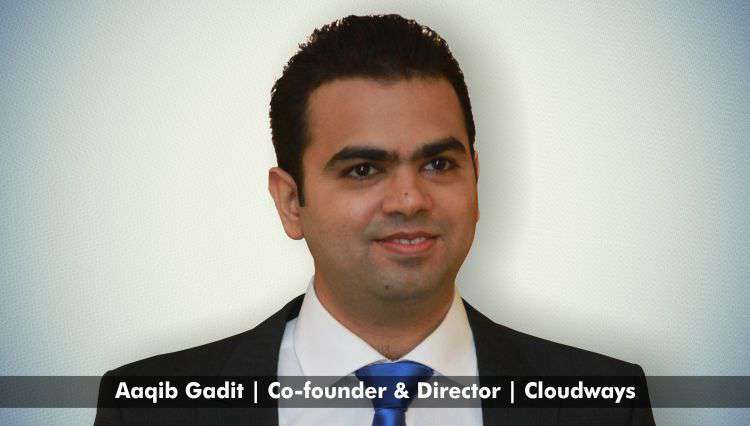 Aaqib Gadit, Co-founder & Director of Cloudways is a Serial Entrepreneur, who possess passion & craze for technology, Open Source, DevOps & Cloud. In 2008, he started his career with web development company Gaditek, and soon the “just another” and “no adventure” factors dawned on him. Thus, PureVPN was launched. Just a 3 man team was bootstrapped to a multi-million dollar business with more than a million users. In 2009, Gadit met Pere Hospital, CTO at Cloudways, in Thailand and agreed complementary skill-set work essential to start offering managed Cloud services. Subsequently, Cloudways arrived. “Experience as a programmer, from projects to product, from a product to the masses, from zero to a million dollars, plus entrepreneurial skills have equipped me with the right blend to lead, and do awesome and BIG!”, says Gadit. Cloudways Platform is immensely feature rich, equipped with a thorough suite of tools required by their different buyer personas. Since the launch, the company seems very agile with updating functionality & features of console, and it still continues. Their optimized and fine-tuned Stack lets customers scale their applications. Cloudways offers customers various add-ons, so instead of users managing billing with different vendors, Cloudways handles everything. The customers can launch multiple servers and host multiple apps on a single server. Cloudways’ prime focus is on quality. They further want to strengthen their suite for Server & Apps management tools, and expand their offering to accommodate more Stacks. According to them, Cloudways believes Product is better than Projects, Platform is better than Product, the Eco-System is better than Platform, and will continue transferring more control to the hands of their customers withou introducing complex-ities for them.